After some months of thought I have decided that B-school is for me. I am wondering where I should get started? I did the mock GMAT exam from MBA.com and scored higher than I ever expected, so now I am wondering what to do. What are the best prep programs to buy? What should I do to prepare? Is there anything I should know before I start studying? If this is a common question please direct me to it. Thanks! 1) How did you score on this CAT (including the Quant and Verbal scaled Scores)? It's a very common question. You could take a look at this post to get started. 1. That is a story. I took 3 tests. The first one I took a xanax for anxiety, and epic failed the verbal section, so of course I wondered why I scored 33rd percentile. I scored Q45 in math. Xanax was for sure the reason for verbal, I have focus issues with it. So of course I retook, but this time I took breaks and didn't know you shouldn't. Fail again. I scored 66th percentile in Verbal though, a huge improvement. I didn't take the Q section this time, as all I cared about was verbal. Finally, the third and final time, I scored 81st percentile verbal, or V36 and again Q45, or 57th percentile in math, making sure to take no breaks but the small one in-between sections. That is higher than I ever thought, netting me a 670 score basically cold. I know that is funny I forked over money but I really wanted to know where I was at. I should add that I had maybe 20 or 30 questions of practice for verbal in the CR section, just to see how good I was. I didn't do much SC or RC at all, maybe a question or two. I also took a lot of quant questions in PS because I love math and wanted to see what kind of animal I was getting myself into. Overall that is 5-7 hours of problems, with very little of it in verbal. Of course that involves no formal preparation, just something fun to do and figure out. 2. My goal score is 740-760, as other people have told me that is attainable with what I have. 780 even if I really bust my rear rend, although that is a fairytale at that point for me. 3. I have all the time in the world, I recently graduated and am seeking employment. So maybe in 6 months to a year? I want to put in 300 hours of studying to score as high as possible. I was a math major with an emphasis in economics. I was debating getting a masters then a PHD in math for awhile but eventually decided business is for me. 4. I will apply once I am finished with 1-2 years of full-time work. I have heard this is almost necessary to be competitive. Originally posted by mbh67 on 01 Apr 2019, 17:21. Last edited by mbh67 on 01 Apr 2019, 18:12, edited 2 times in total. I’m glad you reached out, and I’m happy to help. You successfully completed the first step by taking a practice test to get a baseline score. Your next step is to lay out a sound and thorough study plan. Ideally, you want to follow a linear study plan that allows you to start with the foundations and progress to more advanced topics. 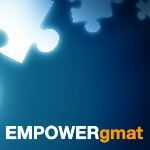 By following a structured and methodical approach, you can ensure that you master each topic individually as you move through GMAT quant and verbal. Let me expand on this idea further. To start, studying for the GMAT now - well in advance of when you'll actually "need" your Score - is a smart choice. If you can commit to working through a consistent, guided Study Plan, then you wouldn't necessarily need 6-12 months of study (you could potentially be ready in 3 months or maybe less depending on how well you improve). 1) When you say you took 3 CATs, which 3 are you talking about? Was it 3 different ones (for example, the two free CATs from mba.com and one of the CATs from Exam Pack 1 - which you would have had to pay for)? Did you take any of those CATs more than once? 2) Do you regularly take Xanax or was that more of an 'experimental' to try to calm down before you took that CAT? 1. I took the two free CATs from mba.com and one of the CATS from Exam Pack 1 (I assume that is what the extra 2 exams you can buy are called, called Official Practice Exam 3 and Exam 4) also from mba.com, which yes I did pay for. I did not take any more than once, as that would lead to a huge skew of my score. So yes 3 different exams, all of them not done more than the one time I took them. 2. I regularly take the drug, which I had been taking for about 3 months, but this was definitely experimental, as I had not tried any verbal exams with Xanax. The final semester of my schoolwork was done with some Xanax for math exams only, so I assumed it would not do much to hinder me. I was clearly quite wrong with verbal. There is a long explanation for the Xanax, which I will not explain unless you need me too, but in general I take medication for focus because I need it and the Xanax clearly undoes this focus medication completely with reading, as I have seen after using it for awhile. My father warned me about this, telling me how it makes me duller. I did not listen. Without the focus medication working as intended by my doctor I really am very poor at most intellectual topics, besides math, to my knowledge. The focus medication is completely different than Xanax, and is used to treat my neurological condition. To maximize your performance on Test Day, you'll have to be really rigorous and detail-oriented about making each of your CATs 'match up' with what you'll face on Test Day (and part of your training leading up to the Exam should include defining how best to incorporate the medications that you described - re: how much of a dose and exactly when to take them). You have plenty of time to figure all of that out though - which is good. Based on your Score Goal, you'll have to make some improvements to how you handle BOTH the Quant and Verbal sections. Based on your timeframe, you're not in any particular 'rush', but there are ways to approach your studies that are more efficient than others, so you can decide how you'd prefer to study at this point. Are you looking for a Course of some type or are you more interested in easing into your studies with some book-work (with the idea of maybe using a more structured Course later on)? I see. I am on a proper dose of the focus medication and it works really well, but for sure will not be using Xanax for any exams at this point. I will definitely make sure I am detail oriented and very rigorous, but by 'match up' do you mean analyze and improve my errors? I am uncertain as to what you mean. Absolutely, I understand that I will need to improve. I am looking for a course and book-work, both I feel would help. But first, to get started, some book-work would be best. Edit: I should mention that I know a lot about math, but some topics are in statistics and that is where I typically fail. I do not remember that as well. I will need to study that hard for sure. Test Day is a rather specific 'event' - the details are specific and they matter, so you have to train as best as you can for all of them. For example, you won't be taking your CATs at home - you have to travel to a Test Facility and take your Exam on a desktop computer. To properly train for Test Day, you have to plan to incorporate those details into how you take your CATs. Many Test Takers who use a 'book heavy' study approach end up getting 'stuck' at a particular score level. Even the best books are limited in what they can teach you; they also can't force you to approach questions in a certain way and their explanations are often one-sided. However, you can start off with some books before committing to a more structured Study Plan. The Manhattan Book Sets are fairly popular, so you might want to start off with those. I suggest that you study as you see fit for the next month, then take a NEW, FULL-LENGTH CAT - and do so in a realistic fashion (take the FULL CAT - with the Essay and IR sections, take it away from your home, at the same time of day as when you'll take the Official GMAT, etc.). Once you have that score, you should report back here and we can discuss how best to proceed. Ah I see. I will definitely do that, maybe I will use a local library, as my laptop is broken. Maybe I can borrow my brother's laptop, he lives nearby. I will also make sure I take it a the proper time. I see how just one routine of study may lead to diminishing returns and finally a plateau. That is why I wanted to do both book study and a course. I just want to start out first, though. I still insist on studying a full 300 hours, more or less, to maximize my score, so I will be likely taking a course after the book work. I will take the last exam in my exam pack after 70-100 hours and see how I do. I will be sure to take IR and the Essay section, which I admit I skipped on my most recent CAT because I just wanted to know Quant and Verbal. First of all, though, I am going to take the CBEST test for being a substitute teacher in California. Studying for that will be 2 weeks, my whole family tells me it is easy, but I don't want to jinx it and will prepare anyways. After that I will get studying. I want to take the test after 70-100 hours by the way because I only have 3 CAT's left and think I should take one at 100 hours, 200 hours, and 300 hours, to measure my progress. So that will be around 2 months total probably. Thanks very much for the guidance I really appreciate it.